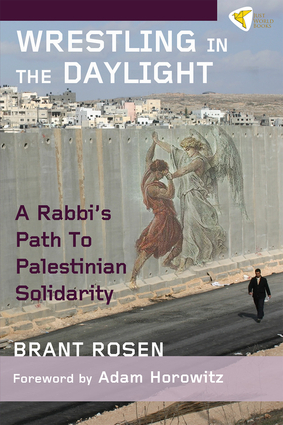 Brant Rosen, author of Wrestling in the Daylight: A Rabbi’s Path to Palestinian Solidarity, is a Chicago-based rabbi, blogger, and social activist. He is currently the director of the American Friends Service Committee Midwest office and co-chair of the Jewish Voice for Peace Rabbinical Council. In 2014, Rosen, who had lengthy previous experience as a congregational rabbi in Evanston, IL, co-founded a social-justice focused congregation called Tzedek Chicago.